Jordan Brand has yet to release their full lineup of kicks for the month of July, but here is something to watch out for – a shoe for women ballers and JB shoe lovers. 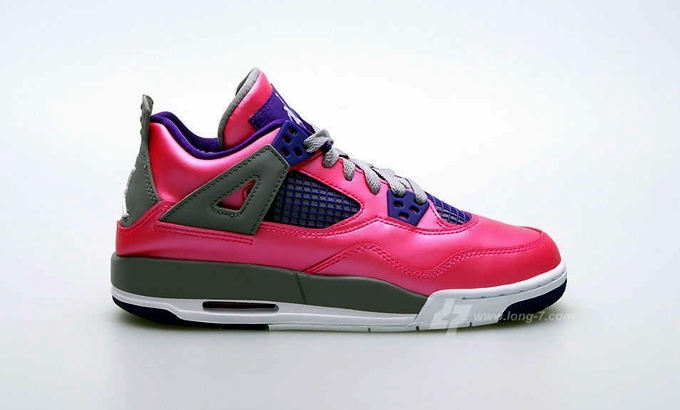 Slated for release this July 13th is the Air Jordan 4 Retro Girls. This silhouette, which is officially listed as the pink/purple-grey colorway of the shoe will be available for $115 through Nike retailers. The shoe will be released along with the highly-anticipated Air Jordan 4 Retro “Toro” on the same day for $160 per pair. Make sure to watch out for this kick!